Everyone tries to achieve tax cuts, by adopting various methods of personal finance. In this tax-saving stunt, it is worthwhile if you are aware of some legally non-taxable forms of income. IRS cannot munch one crumb of tax from such forms of income. The reason is that the law itself prevents IRS from levying income tax on them by stipulation. If you earn such an income, you don’t have to worry about tax payment for it. Here are some of these forms of income you may wish to make the most of. Interest you earn from the bonds supplied by the state are free of all kinds of tax, though returns may not be substantial. For instance, if you are in the 35 % bracket, at a tax-free rate of 5 % your taxable rate becomes 7.6 %. However, if you are in the 15 % bracket, this becomes a lower 5.9 %. Some of these bonds are not only tax-saving at the federal level; they may be tax-free at the state and local level as well. This is, hence, definitely worth a try. You can receive non-taxable compensation from your company in some ways. This can be negotiated with your firm, when you are on the verge of a pay raise. One form is health coverage: health and hospitalization insurance coverage prices are tax-free. So, you can negotiate with your company and get them to compensate you in medical insurance premium than in any other taxable form of rise in salary. Life insurance coverage: this is another option of freeing up tax. Group life insurance coverage of $50,000 or less, paid by the company, is not taxable to the employees. And the employee can choose the beneficiary. Educational expenses in the company are free of tax, if the company can pay for your training. So, in case you are planning to get higher education or special training, it is a great idea to get your company to pay toward it rather than from your wallet (even if you are doing training outside your functional area). Transportation is tax-free: if you choose to use public transport to the office, then you can get your company to pay for the transport; you are getting this benefit free from tax. This is up to 100 dollars per month. Mostly the payments are made directly in the form of gift cards, discount coupons, etc. You read it right! According to the real estate law of 1997, if you have been resident in your home for two years in the last five, you can be eligible for tax savings on profits up to $250,000 (or $500,000 in case of joint sale) on selling your home. If you are selling the home after one year (not fulfilling the two-year rule), you can get an exclusion for up to $125,000. But these exclusions are given if you are selling the house for a valid reason such as job transfer, unemployment, health reasons, or any other valid unforeseeable situations. This is a tip. If you decide to share your vehicle with other employees when you go to the office, you can have a definite advantage. If you carpool to work, and you are reimbursed for the effort you take for brining employees to and from work, you can most probably cover the cost of gas, repairs, or accessories of your vehicle. This is accounted to your excludable income. With this, you can save substantial money each month. Saving tax can be very rewarding. But most of the people still are unaware of these schemes of income from which you can get substantial cuts in tax. If you are one such, then these options. You’re a college graduate. You have letters behind your name for crying out loud! Filing your taxes will be a breeze! Then you sit down with a stack of receipts, W2s, W9s, a tax booklet and a few varieties of the 1040. You graduated with honors, so filling out a few forms for the IRS will be nothing compared to the thesis you spent months working on. Four hours later you are twitching on the floor in the fetal position with drool coming down your chin as you chant “adjusted gross income … dependent status … taxable interest”. It doesn’t have to end this way. Technology has saved us all from hours of hair pulling, handwritten long form. If this is your first time doing your own taxes then this is the article for you. The IRS realized a few years ago that life would be much simpler for them if they didn’t have to decipher papers that were covered in scribbled numbers and dried tears. There are so many options for doing your taxes now that anyone can do it! Yes, you can hand write and snail mail in your taxes. However, you have more options than that. Do some research and ask around. Find out who trusted providers are. You can walk into an office and walk out with a loaded debit card. Or, an even simpler method is to do it on your own. The IRS website lists multiple options that they approve as tax preparers. The great thing is that you can even have your taxes done for free if your income is low enough. 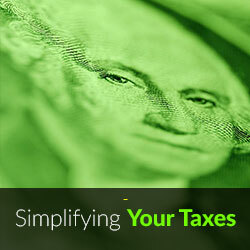 Filing your taxes online is as simple as answering a few basic questions. Keep in mind that the software providers are competing to make theirs the simplest one to use. That means that as a consumer, you are guaranteed to find tax filing software that literally walks you through the entire process. You simply answer the step by step questions. This software is so simple to use that there are answers to your questions about their questions! All you do is click on the information button if you need clarification about things like what it takes to not be a dependant or to find your township code. It really can’t get much simpler. And best of all, once your taxes are done, most of the software goes through and checks for possible mistakes. Isn’t it nice to know that as friendly as you are, someone else is going out of their way so you don’t have to have the IRS over for dinner? It doesn’t get any better than that! If you can manage some basic data entry, then just relax. Get your information together. If you didn’t own your own business then all you really need is your W2s and receipts for the year. Don’t worry about whether or not you can deduct specific items. The tax software will offer you the option of getting a list of items that are deductible. If you really must have answers to questions before opening the software, then we can go through a brief checklist that may clear things up a bit for you. We’ll keep it simple since you might still be twitching if you’re one of those unfortunates who went and loaded up on paperwork at the library and then attempted to figure it all out on your own. You cannot be claimed as a dependent if you have supported yourself at your own address for more than six months out of the year. Your family dog is not a dependent. Your child who lives with you for more than six months of the year and receives more than half their support from you can be claimed as a dependent. It’s okay if you’re horrible at math because if you use the online software, all you’re going to do is put in the information. The software will do the figuring for you, so put your socks back on! Yes, it is possible to get back more in taxes than you paid in. This is not a mathematical error and it is not setting you up for an audit followed by prison time. It simply means that you didn’t make enough money to owe the IRS anything and you probably qualified for the earned income credit. The hot tub you put in last spring is not deductible, but the home office you use for your own business or use for your job before or after you go to work each day is. On the other hand, yes you can deduct that leather jacket you took to Goodwill under the charities deduction, just as long as Goodwill gave you a receipt for estimated value. Unfortunately, that engagement ring your ex-fiancé threw out the window is not a legal deduction, but the therapy you went to for six months afterwards may be. These are all questions that can be answered as you fill out your tax forms. Take the pain out of doing taxes and just use the online tax software. Not only will you ensure that your taxes are filed accurately and in an inexpensive manner, but you can save yourself tons by avoiding the therapy that is likely to follow preparing your taxes using the paper form and the pile of booklets that come with it! The IRS levies a self-employment tax on your income if you are self-employed. The self-employment tax composes of social security and Medicare tax deduction. Because you are the employer, you calculate the self-employment tax yourself. According to IRS regulations, you can deduct half of the self-employment tax when calculating your adjusted gross income. This deduction impacts your income tax only, not your net earnings. The self-employment tax set by the IRS for 2010 is 15.3 percent on your income up to $106,800. This rate has two components: 12.4 percent allocates to social security tax provisions for senior citizens and disability insurance and is only payable on the first $106,800 of your income. The remaining 2.9 percent of the self-employment tax is for Medicare taxes for social services such as hospital insurance and is payable on your entire net earnings. To pay the self-employment tax, you must obtain a social security number or an individual taxpayer identification number. The IRS states that if your tax year is different from your “calendar year, you must use the tax rate and maximum earnings limit in effect at the beginning” of the tax year for tax calculations. Ignore changes in specifics during the tax year and apply the calculations you used for the beginning of the year throughout the year. The IRS has special regulations for caretakers of elderly or disabled people. For IRS purposes, caregivers are employees of persons receiving care and the care receiver is hence the employer. If you provide caregiver services to a family member, that family member, your employer, may not subject the income she pays you to employment taxes. 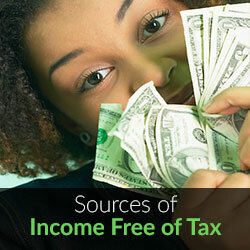 Note that the income you receive in this capacity must still be reported to the IRS. 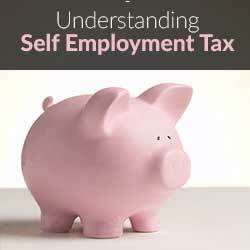 The self-employment tax is applicable on all individuals who fit the IRS’ self-employed profile. Self-employment tax regulation applies to you regardless of your age and existing social security or Medicare deductions. The IRS levies the Self-employment tax on self-employed net earnings that exceed $400 or income that exceeds $108.28 for church employees. If income tax is not withheld for you, you must make estimated tax payments for when filing returns to avoid penalties. Any information you obtain from this site or made available to you from any site to which you may be directed is not intended to be legal, accounting, tax, investment or other professional advice. Although the information and recommendations at this Internet Web site (hereinafter "Information") are presented in good faith and believed to be correct, the author makes no representations or warranties as to the completeness or accuracy of Information. Information is supplied upon the condition that the persons receiving same will make their own determination as to its suitability for their purposes prior to use. In no event will the website owner and or author be responsible for damages of any nature whatsoever resulting from the use of or reliance upon Information or the product to which Information refers.